Providing you the best range of zero speed switches blind type, zero speed switches digital type and zero speed switches heavy duty with effective & timely delivery. We are engaged in offering our clients a high quality range of Zero Speed Switches Blind Type. This switch is developed by our dexterous professionals so as to provide protection to belts in case of slippage. The offered switch is offered in various specifications as per the specific needs of the clients. 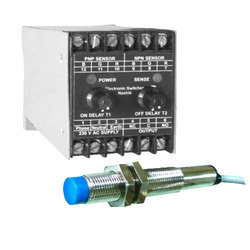 Our valuable customers can avail this switch in bulk quantity at competitive rates from us. 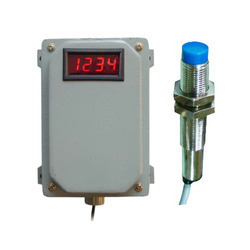 We are amongst the leading industries in the domain, engaged in offering premium quality Zero Speed Switches Digital Type that detect changes in rotating equipment such as screw conveyors, belt conveyors, and bucket elevators. The offered switch is manufactured utilizing high grade raw material and advance technology in accordance with the norms of industry. In addition, our switch is tested on diverse parameters in order to ensure its flawlessness. As a flourishing industry, we are instrumental in offering a high quality range of Zero Speed Switches Heavy Duty. Our provided switch is developed by highly skilled professionals using finest grade raw material & latest technology keeping in sync with the norms of industry. Offered switch is stringently tested on various parameters in order to deliver defect free range. We offer this switch in various technical specifications and can be custom design in order to meet the diverse requirements of the customers.